Clinical interests: Specialty Lead for the Emergency Department. Dr Leilah Dare trained in the Severn Deanery, completing her training in 2009. She was a Consultant in Gloucestershire Hospitals NHS Foundation Trust for 2 1/2 years prior to her appointment to North Bristol NHS Trust (NBT). 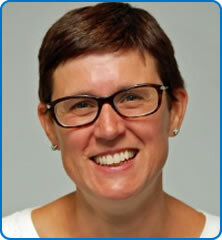 Dr Dare has been a Consultant in Emergency Medicine since 2009. She is currently involved in major trauma training and is a TPD for the ACCS School.